With the basic cleanup of the workshop done, I set out to build in some lumber storage. 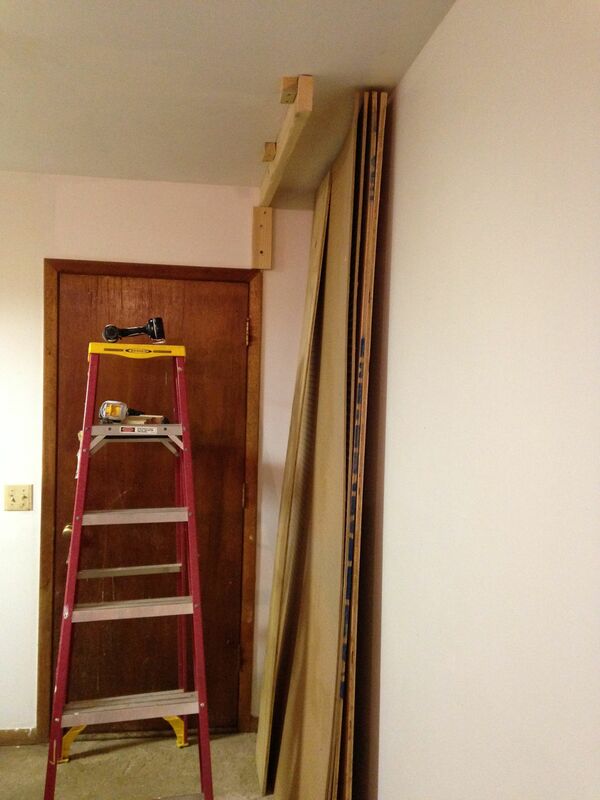 I wanted to be able to keep both 4×8′ sheets and 8′ lengths without using up a lot of floor space. I don’t generally have more than a handful of 4×8 sheets at any given time, so the otherwise useless space behind the door seemed like a perfect place to stash it. I found a stud and used it to securely attach a piece of wood to stop the sheets from falling forward, and then made sure there was enough room to slide a sheet out and carefully tip it down — this way I can get a sheet in or out of storage by myself. For 8′ lengths (2x4s, etc.) 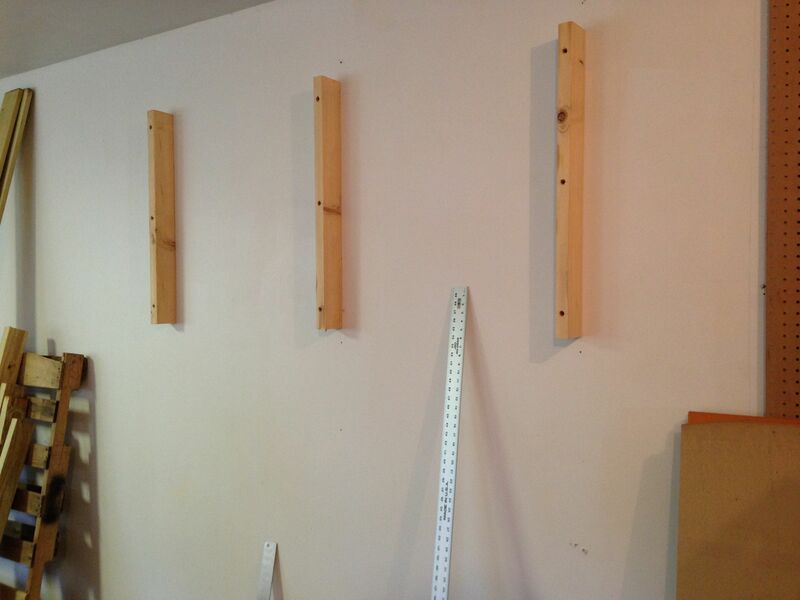 I made a simple set of wall-mounted brackets to which I can attach horizontal supports. I slightly angled the supports to make it unlikely for anything to fall down on an unsuspecting head. 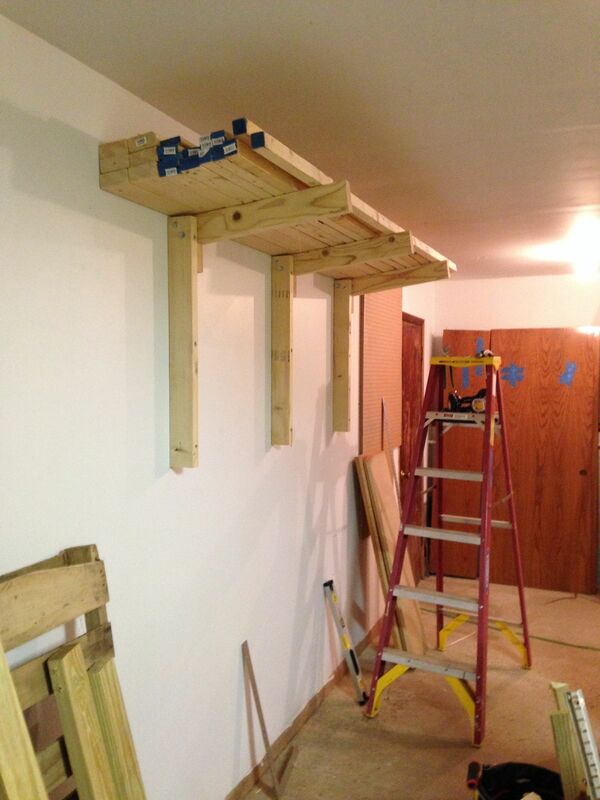 This entry was posted in DIY, Workshop. Bookmark the permalink.